You are currently browsing the tag archive for the ‘Cargo’ tag. Today we bring you another edition of the Brandl Media Minute. Follow along with yours truly as I break down how to operate the Stow and Go Seating on your Dodge Grand Caravan and Chrysler Town and Country. The Stow and Go Seats were introduced in 2005 and can be found on most newer Dodge Grand Caravan and Chrysler Town and Countrys. It allows the user to switch from being able to seat 7 to having all the seats in the floor for maximum cargo space in about a minute or so. No more breaking your back trying to get seats in and out of the van! For 2011, Chrysler has made it even easier than before. The seats still fold the same, but due to the changes it requires a lot less effort than previous models, especially in the 2nd row. As always, click on any of the images in the post to see more photos ofChrysler Jeep Dodge Ram Vehicles. Thanks again for checking out Chrysler Catchall! The Dodge brand proudly built the Power Wagon based off of the 3/4-ton Army truck’s chassis with a civilian cab and a redesigned 8-foot cargo box. It featured a 126-inch wheelbase chassis and a 230 cubic-inch flathead six-cylinder engine, a two-speed transfer case and a 4-speed transmission. The Power Wagon, although redesigned several times, remained in production until 1980, when the following year the Dodge Ram took its place. The Wagon’s design and capability helped it to become the predecessor for most of the four by four trucks we see on the road and was eventually reborn as the Ram 2500 Power Wagon available again today. The 2011 Power Wagon is available with an off-roader’s wish list of standard equipment, including front and rear locking differentials, electronic disconnecting front sway bar, 33-inch offroad tires, complete underbody protection, and a custom 12,000-pound warn winch. Check out this video below of the 2011 Ram Power Wagon being put through the paces out in Moab, Utah during the Easter Jeep Safari. To see more photos of Chrysler Dodge Jeep Ram Vehicles, simply click any of the images in the post. Thanks again for checking out Chrysler Catchall! April 29, 2011 , Auburn Hills, Mich. – Mopar®, Chrysler Group LLC’s service, parts and customer-care brand, today served up 12 gift ideas for mom and mom’s ride. 9. Katzkin Leather Interiors: Katzkin offers premium leather-trimmed packages with embroideries, piping, two-tones, suede and much more in many different colors. Ask your Chrysler, Dodge, Jeep or Ram dealership for more information. 11. Kicker® Premium Audio Systems: Speakers, subwoofers and amplifiers are designed specifically for each vehicle, maximizing the sound experience. KICKER parts install easily; just bolt and plug them in. No cutting or soldering required. See your Chrysler, Dodge, Jeep or Ram dealership for more information. As always, click on any of the photos in the post to see more photos of Chrysler Dodge Jeep Ram Vehicles. Thanks again for checking out Chrysler Catchall! “The Ram Cargo Van – or Ram C/V – features solid sliding door, rear quarter window and backlight privacy panels in place of clear glass windows. However, buyers have the option of equipping their Ram C/V with several combinations of solid and glass panels, including a choice of solid or glass backlight. The Ram Cargo Van also receives a structural aluminum rear load floor. Two flooring options will be available, including one with a flat, uninterrupted, high-capacity surface. A second, optional floor provides through-the-floor access to three exclusive storage bins and load floor tie-downs. With more than 25 years of minivan engineering behind it, and as the inventor of the first minivan-based cargo van, the Ram Truck brand understands the versatility needs for both small and large businesses. Ram C/V utilizes the convenience features and city-friendly dimensions that have made Chrysler Group minivans segment leaders, while maximizing cargo, convenience and capability attributes. Ram C/V offers small businesses many competitive advantages. Among them, Ram C/V provides a Class 1 commercial vehicle-leading 1,800-lb. cargo payload and category-exclusive towing capability, up to 3,600 lbs. A 20-gallon fuel tank and 25 mpg highway also deliver best-in-class fuel range. Ram Cargo Van is engineered to meet small business and commercial needs. A commercial-tuned ride and heavy-duty load-leveling suspension offer maximum hauling capability. A heavy-duty radiator and heavy-duty transmission oil cooler help meet heavier powertrain demands. Ram C/V is also engineered with unique hydraulic power-assist rack-and-pinion steering, front anti-sway bar and rear twist-beam axle with coil springs. 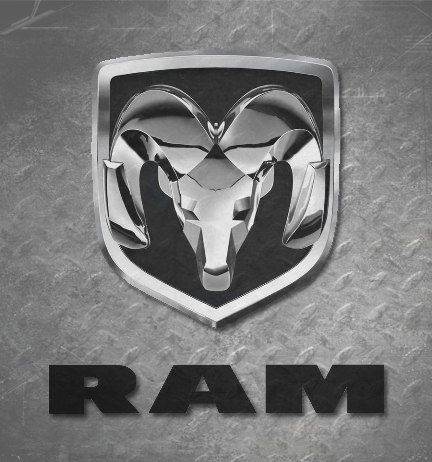 Ram C/V has a maximum Gross Combined Weight Rating (GCWR) of 8,750 lbs. To see more photos of Chrysler Dodge Jeep Ram vehicles click any of the images in the post. Thanks for checking out Chrysler Catchall!